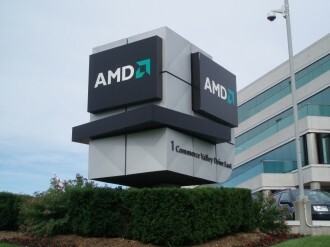 The possibility of AMD building chips based on ARM technology has been a persistent rumor over the last eighteen months or so. Today, the company has made it official, announcing plans for a highly-integrated, 64-bit ARM multicore System-on-a-Chip (SoC) optimized for dense, energy-efficient servers. By using Freedom fabric to link ARM-based CPUs into a cluster, and then linking the clusters to the network, AMD can effectively solve the bottleneck of leveraging small, efficient CPUs in the mega data centers of tomorrow. There are a number companies that have talked about 64-bit ARM in the server space but only AMD comes in with the background and expertise to drive and accelerate the ARM 64-bit ecosystem. We start with a deep knowledge of what it takes to be successful in servers; industry-leading 64-bit microprocessor technology, a broad portfolio of IP and the experience of working with OEMs, ODMs and ISVs to really deliver an enterprise-class portfolio of features. The initiative is clearly aimed at a steadily growing data center market driven by the spread of cloud computing. By combining ARM technology with their dense server technology from SeaMicro, the company believes they can improve the efficiency and reduce the total cost of ownership in the data center. The company was keen to point out that that the x86 architecture is not going to disappear from servers or PCs in the coming years and that it will continue to develop x86 Opterons in addition to ARM Opteron products. AMD has struggled to keep up with Intel in the microprocessor business -- both in the consumer and enterprise side of things. Just this month the company reported a 10% year-on-year fall in its revenues for the latest quarter and forecast another 9% decline in the final months of the year. Branching out into ARM processors could give it an edge in the profitable server market provided the claims about efficiency and costs play out. While the announcement is limited to server technology it wouldn’t be too far-fetched to think AMD might eventually expand its ARM initiative to other markets, such as low-power processors for tablets and smartphones, an area where Intel and AMD are yet to make any major advances in terms of market share.